If you are looking for unforgettable entertainment for your corporate event or private party, we are a booking agent for FUSE Violin Duo, and can arrange for FUSE Violin Duo to perform for your guests. There is no violin act in the world that can that can stand shoulder to shoulder with FUSE Violin Duo. 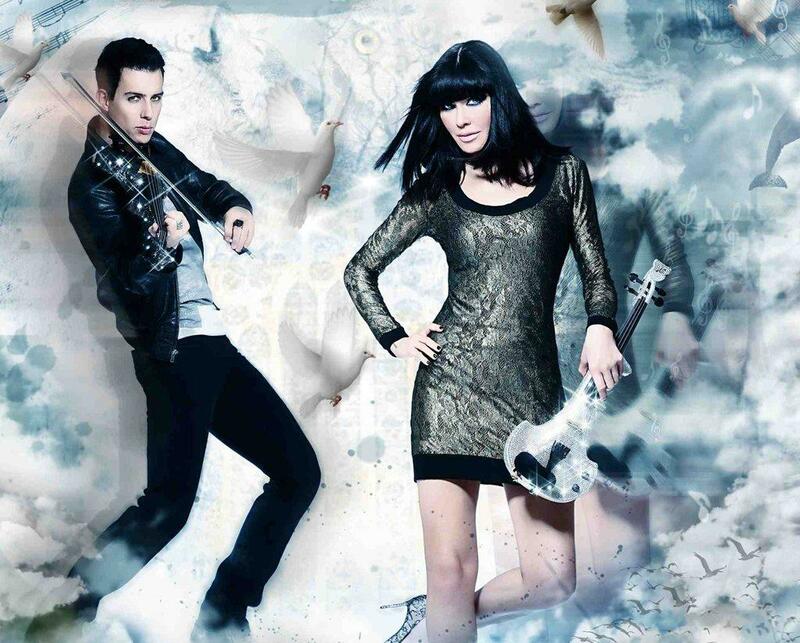 They are the world’s leading contemporary electric violin duo – award winning international recording artist and the official 5-times world record holder for Fastest Violinist in the World. They would make a fantastic addition to your corporate entertainment. FUSE Violin Duo are the only violin act to be sponsored by Swarovski, performing on their exclusive 24-Carat Gold & Swarovski Crystal Violins. Their performance is world class, spectacular and high impact – being the Guinness World Record holders for the Fastest Violinist In the World. 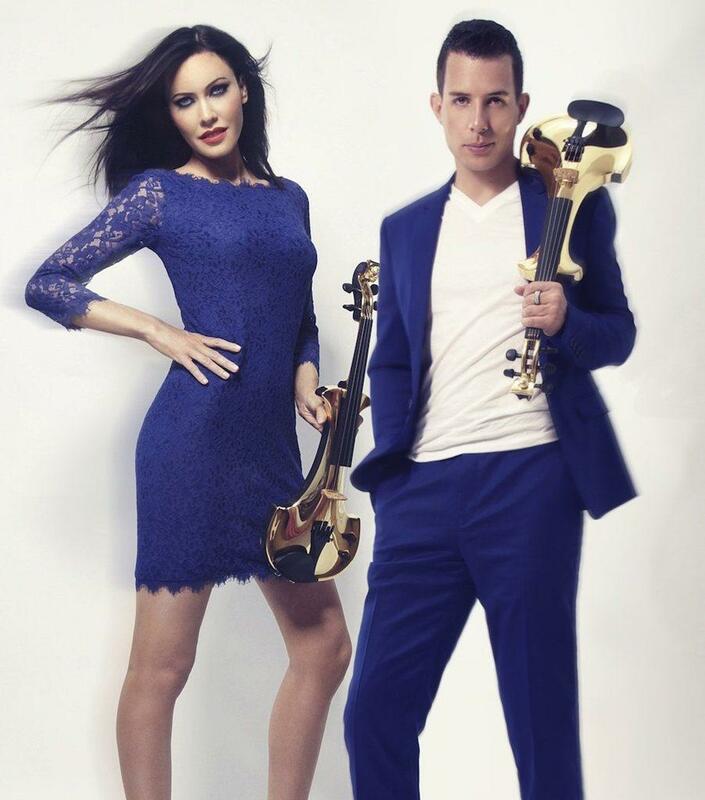 FUSE Violin Duo recently confirmed their world class talent on TV, broadcast the world over in more than 200 countries – performing their 5-times Fastest Violin Guinness World Records on Discovery Channels. Contact us today if you would like to book FUSE Violin Duo to be the highlight of your event! 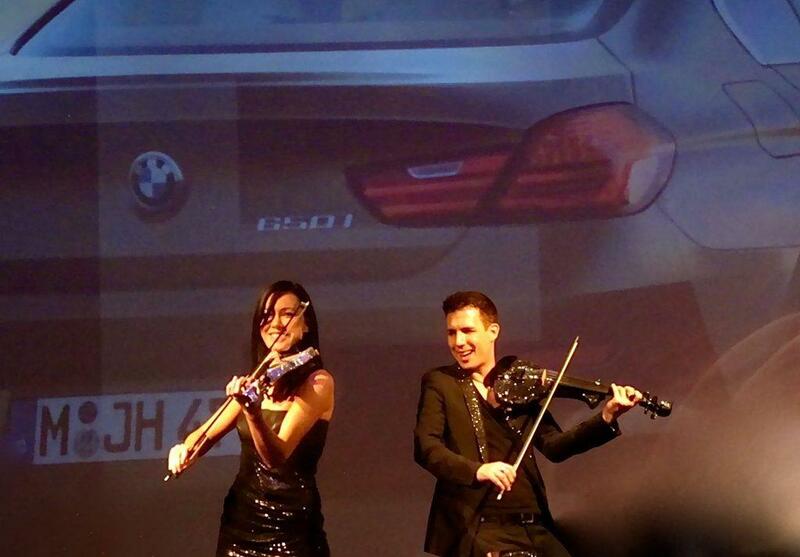 We as your booking agent are more than happy to help you create the most memorable moments with FUSE Violin Duo. The world’s first-ever 24-carat gold violins. Exclusive Swarovski Crystal violins- Only violin act in the world to be sponsored by Swarovski. Usually 20-25 mins, but can be 60 mins but always suggest it is split into shorter sets.